No harsh words were spared in this article in the Norwegian nrk.no to describe the Sam Syit Saami village near Lovozero in the center of the Kola Peninsula. The main thrust of the angry author is that the village is as far from being authentic as one can be, and represents “a nonsensical mix of rabbits, fleece clothing, and Indian totem poles”. It is in Norwegian but auto-translates into English quite coherently. The village of Black River in North Karelia is as isolated place as I’ve ever seen, with absolutely no car access. To get there you need to arrange to be met with a boat at the Polyarny Krug camp in Nilma. The permanent (wintering) population is 7-10 persons, and it gets up to a hundred in the summer. Locals don’t generally like tourists but if you have a valid reason to visit this community populated mostly by Moscow biologists they may welcome you. Below are a few of many photos taken during our recent 4-day stay in Black River. The destination is the village of Chernaya Rechka (“Black River”) near Nilma. The village is famous for its remoteness, with no roads leading to it, and for the fact that most houses there are owned by biology professors from St. Petersburg and Moscow, one of whom we’ll be visiting. The third scientific and practical conference “Natural and Cultural Inheritance of the White Sea: preservation and development” took place in Chupa from July 15 to July 17. The conference was organized by the Basin Council of the North Karelian Coast and the Lighthouse Foundation. Conference organizers took a big chance holding the event so far not only from major science centers but away from major cities (300km to Murmansk, and 500km to Petrozavodsk). General view of Chupa. Photo by Alexandra Goryashko. A group of Moscow orphans on their holidays at the Park Hotel Syamozero camp in Southern Karelia, Prazha district, went out on June 18 and got caught in a storm that had their canoes overturned. Of about 50 of them that ended up in water, 14 drowned, and the rest made it to the shore. A big scandal is under way, with four or five of the camp staff arrested and the camp closed. Today was declared a day of mourning in Karelia and Moscow. The Third International Scientific and Practical Conference “Natural and Cultural Inheritance of the White Sea” is to be held in Chupa, Karelia on July 15, 16, and 17 2016. 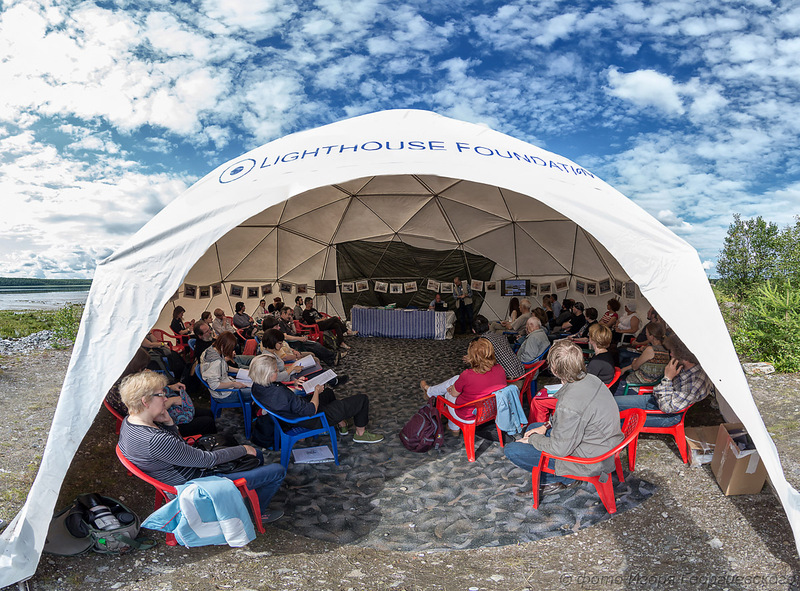 The event is organized by the Basin Council of the North Karelian Coast, and Charitable Fund for the Preservation of Seas and Oceans “Lighthouse Foundation“. Those wishing to attend or participate should contact Контакты: Julia Suprunenko at yulka-tm@yandex.ru or suprunenkoyuliya@mail.ru. tvrain.ru reports that several island in the north of Lake Ladoga in Karelia are contaminated with radiation left from the times when these locations were used as testing ranges in the 50s and 60s. Three islands — Makarinsaari, Kugrisaari, and one without a name — are considered as particularly dirty, and offer a possibility of picking one year’s norm in three hours.